Roulette Tips And How To Win Big. Roulette is a very strategic game that takes the luckiest, the craftiest, and the most eager to win. Whether you’re playing on American or European roulette tables, the odds are usually stacked against you. In this account we’re going to go over some of the best ways to win big, as well as get into some of the basic strategies that you can use at almost any American or European betting table. One of the ways to win at casino roulette is to figure out how the croupier releases the ball. Identifying how the croupier “aims” the ball is what’s called identifying the dealer signature. This dealer’s signature may involve a certain tick that makes the ball land at a certain destination, or segment of the wheel. If you can figure out a dealer’s signature, then you might be able to coordinate your bets in order to beat the house and come out on top! Another great way to win roulette involves chaos theory. This method of winning involves playing an edge, consistently, over time. If one looks to achieve an edge, then you must calculate the ball’s entry point, the speed of the spinning wheel, and the dealer or table’s bias that may or may not have been shown on previous spins where the ball would land in particular pockets. Basically, calculating all three of these observations can lead to generating a sort of chaos theory of odds that could set you ahead of the herd! I must profess that my strength at scientific observation is limited, very limited. However, if one would like to delve deeper into the world of winning roulette using the broad physics of chaos theory, then reading up on Mark Anthony Howe and his 1994 paper “winning at roulette” is a must. 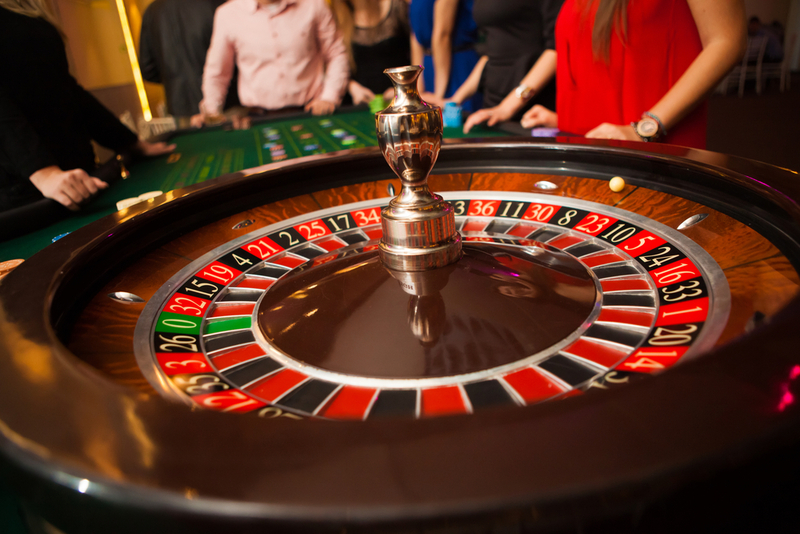 Roulette betting involves inside and outside betting. An inside bet is a bet that sees a player placing his or her chip on the numbered part of the game grid. The choices include betting on a variety of numbers both black and red, which can include a variation of possibilities due to the ability to place a bet on a “line,” “street,” or “corner” of the game grid, covering multiple chances of winning. An outside bet is a more generalized bet that’s placed on the outside of the game grid. Here, a player can make a bet regarding low or high, black or red, and odd or even. The outside bet can also be placed on a “line,” connecting variables of odds of winning. The house advantage involves a table’s house edge. This house edge, or house advantage is something that can be calculated and is given in a percentage form. European single zero roulette tables have a house edge of 2.7%, while American double zero roulette tables have an edge of 5.26%. The house edge is therefore gained through the varying zeroes that are in play at each type of table. A basic glance at any generated house advantage table or graph will show you that the probability of winning is always higher on European single zero tables as opposed to American doubles. The math speaks for itself! Some of the best tactics of winning involve what I mentioned above regarding spotting a dealer’s signature, and the mind numbing idea of using chaos theory to calculate odds. Another great trick involves standard deviation. To use the standard deviation trick properly, a player must have a lot of luck on his or her hands! Over a large enough period of time, it is thought that the outcome of the spin will follow the same sort of distribution curve. Following the distribution curve will allow a player to predict where the ball might land on a particular spin cycle. When playing roulette, it’s always a wise idea to mix it up a bit and never play the same way twice. Betting the same way every game is the wrong way to view playing roulette online or live dealer roulette. Learn how to adopt the 50/50 approach, inside and outside betting, and managing your funds. Maintaining a balance between all three of these tactics will put any player on the path towards winning big.